This is an interesting look at the start of the business as well as a look into technology from an era long past. We used so much deskspace for our computers. How did we survive with such big monitors? And the design of Amazon? So different! Things like algorithms are so commonplace today we barely think of them (unless they start sending us weird stuff, I’m looking at you Wish app) but in 1999 this reporter acts like it’s magic. One thing of note, the stock broker had A+ future vision. Amazon and Sears did go to war and Sears lost, big time. 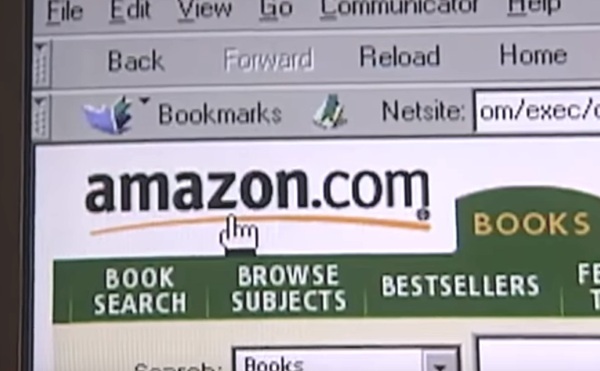 If you’re curious about what tech was like the year the dotcom bubble exploded and maybe get some insight as to why Amazon is still with us, check out this video below.